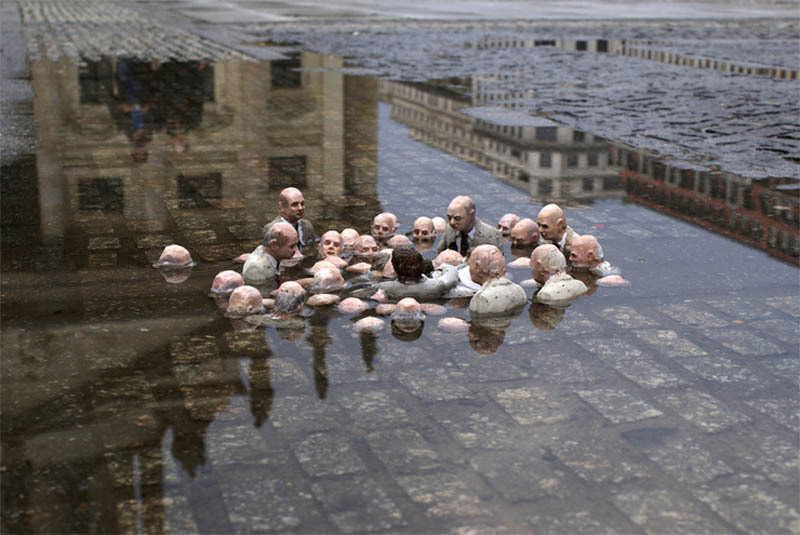 Working out of London, England, artist Isaac Cordal has been placing his cement miniatures all around Europe. In his recently published book Cement Eclipses: Small Interventions in the Big City, Isaac explores the urban landscape, placing his magical little sculptures in unassuming locations. Many will miss these miniature life scenes, but for those that do discover them, it brings a little intrigue to our fast-paced lives. Cleverly Placed Miniature Cement Sculptures by Isaac Cordal «TwistedSifter.